If you want to have a new look right away, try using virgin hair extensions. These extensions are made from real human hair. Hair extensions, whether they are synthetic or real hair, can make your hair thicker and longer. But if you want to color your extensions, you should only use extensions made from human hair. 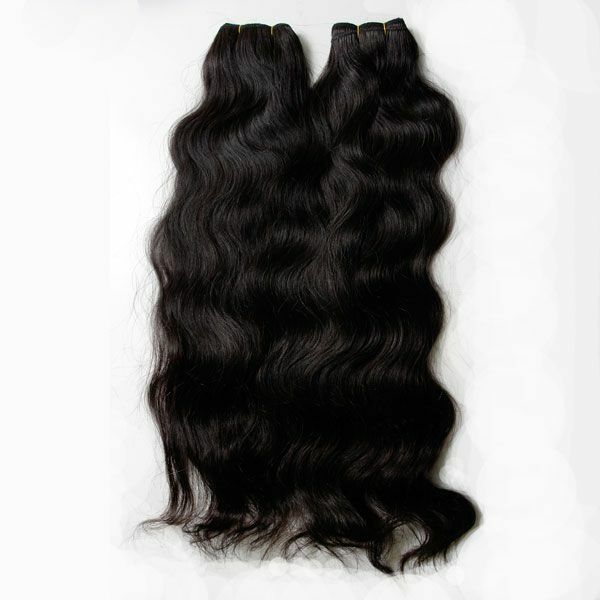 Virgin hair extensions, even though they are made from real human hair, are more fragile than your real hair. That is because they do not receive the vitamins and natural hair oil that your real hair receives. Nonetheless, these extensions can be dyed darker. You just have to be very careful in coloring them. Color a few strands of both your own hair and your extensions. By doing this, you will know the exact color that your hair would have. You will also know how long you should leave the hair color on your hair for the color to set. Comb dry or wet hair to remove tangles. Then, apply the hair color. Be gentle in applying the hair dye. Be sure that your hair and extensions are not rubbed or pulled while the dye is applied. Let the hair color set on your hair. Follow the time you got from doing the first instruction or the time indicated on the instructions on the hair color box or leaflet. It is preferable to follow the time that is shorter. Through gentle stroking, apply human hair extension shampoo on your hair. Be sure that your natural hair and virgin hair extensions are not pulled or rubbed. Gently wash your hair using warm water to remove the shampoo and excess hair color. Stop washing your hair when you see that the water is already clear. Apply human hair extension conditioner on your hair. Again, use gentle strokes. Do not apply conditioner on the bonds. Using warm water, wash your hair gently. Using a towel, gently dry your hair. When your hair is only damp, part the extensions and get rid of tangles using a comb with wide teeth. In buying a hair dye, be sure that the dye you will buy is not too dark. It should be just two or three shades darker than the color of your hair. Also, you should not buy a hair color that has ammonia or bleach. It will damage your virgin hair extensions. In coloring your hair and extensions, you should color your own hair and extensions separately if your extensions are the clip-in type. You should do this to not damage your own hair. Prior to coloring your hair and extensions, it is very important to be sure that the extensions could be dyed. To be sure, ask the hairdresser who attached your extensions. Also, if you want to make sure that your hair and virgin hair extensions are colored perfectly, have them colored by your hairdresser.